Full length dress with cap sleeve marquis lace bodice. V-neckline with scallop edge and sheer back. Crepe trumpet skirt. Dress available solid only. 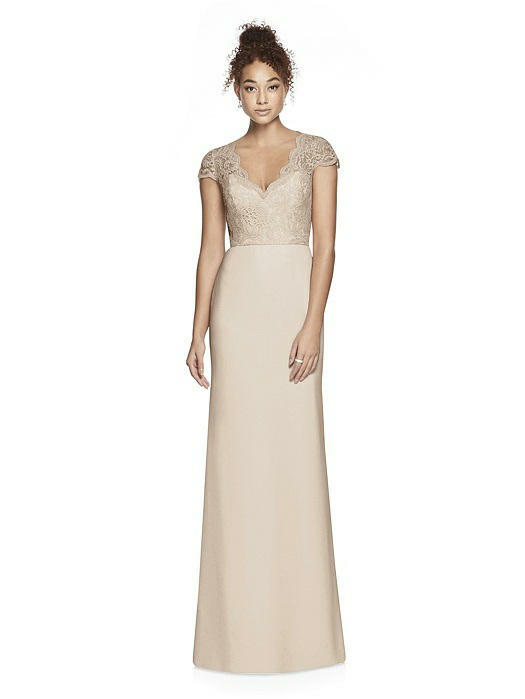 Also available with long sleeves as style 3014.